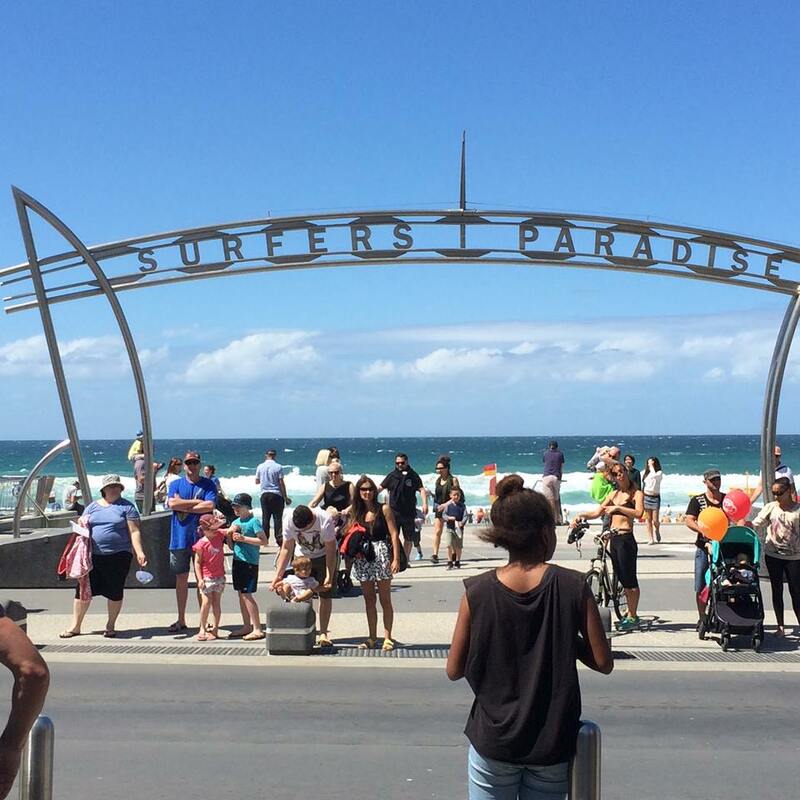 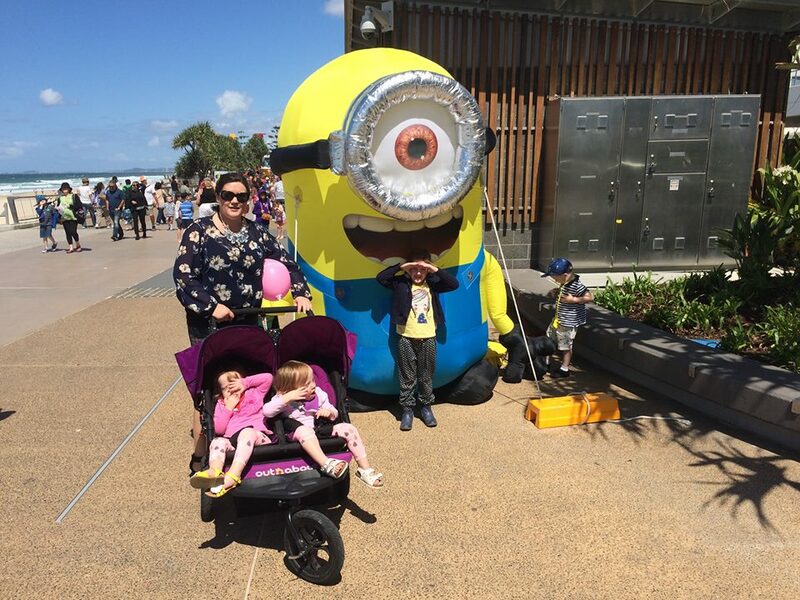 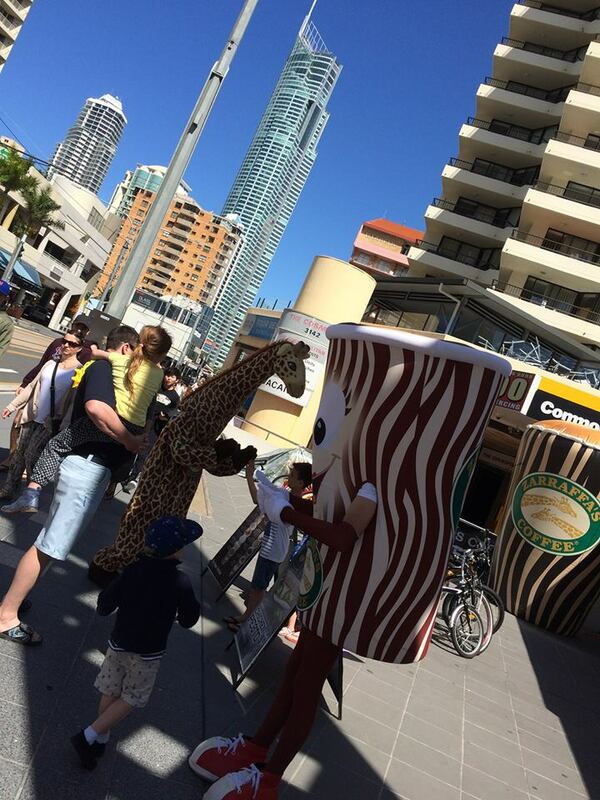 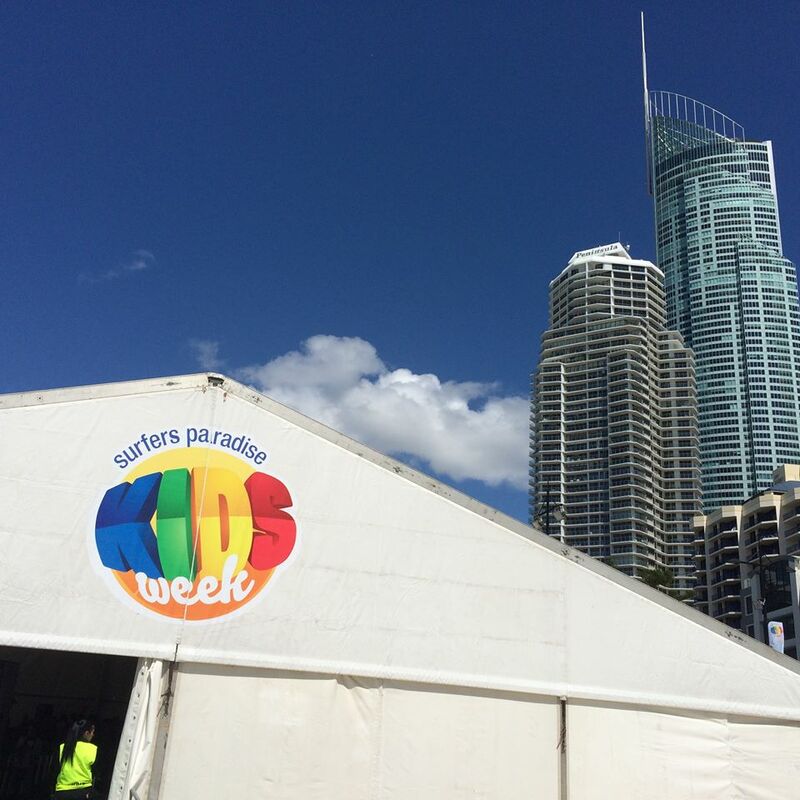 If you're any where near the Gold Coast this weekend, and the week ahead, I definitely recommend visiting Surfers Paradise to check out the festivities happening for Kids Week! Now in its fourth year, this FREE event is an absolutely amazing addition to the Gold Coast's event calendar and a drawcard for families from all over Australia, and internationally. Luckily for us, we live only a few minutes away (by car) and were super excited to enjoy a morning of fun today to celebrate the launch of the 2015 event. 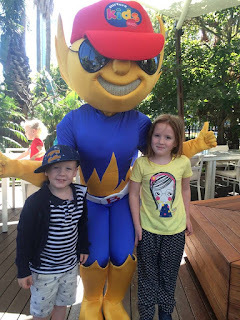 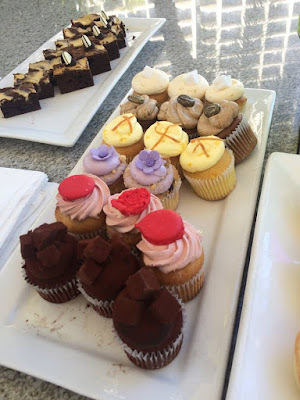 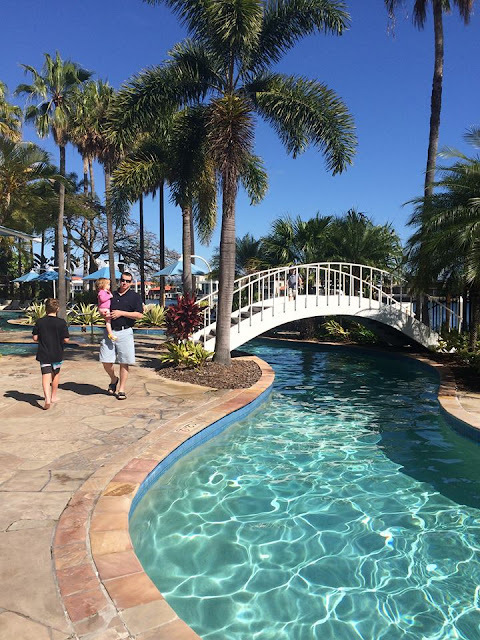 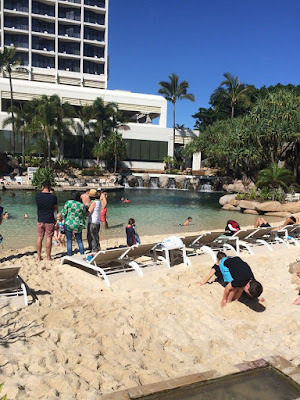 Hubby and I and our four little ones (Miss 5, Mr 3 and twincesses aged 1.5) started our Saturday with a lovely brunch, poolside, at the Marriott Resort Surfers Paradise, the sponsor of Kids Week (who are also holding Movie Nights during Kids Week). 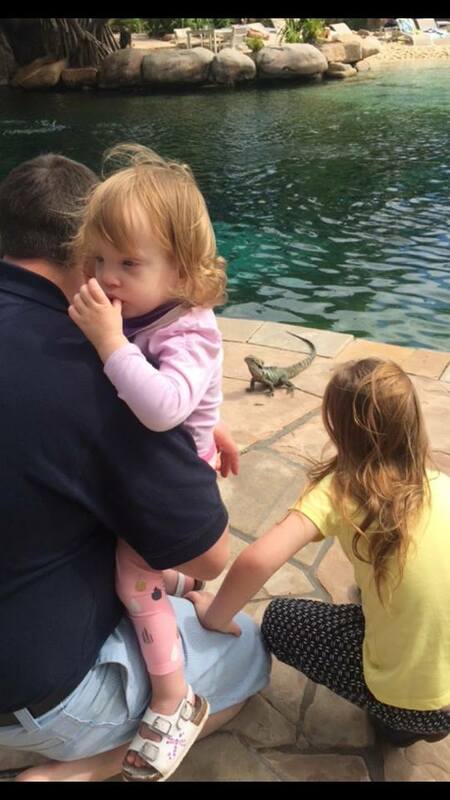 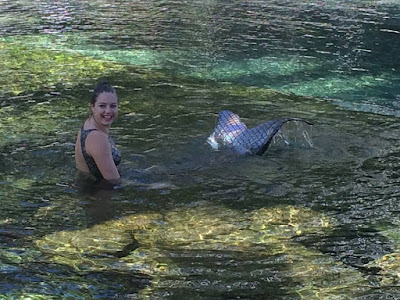 Miss 5 and Mr 3 were captivated by the mermaid who was splashing about in the lagoon pool. After munching on some cupcakes, they were also full of beans when playing 'chasings' with Blaze character. 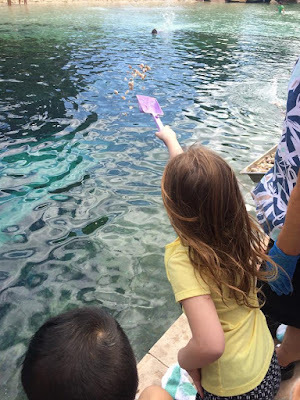 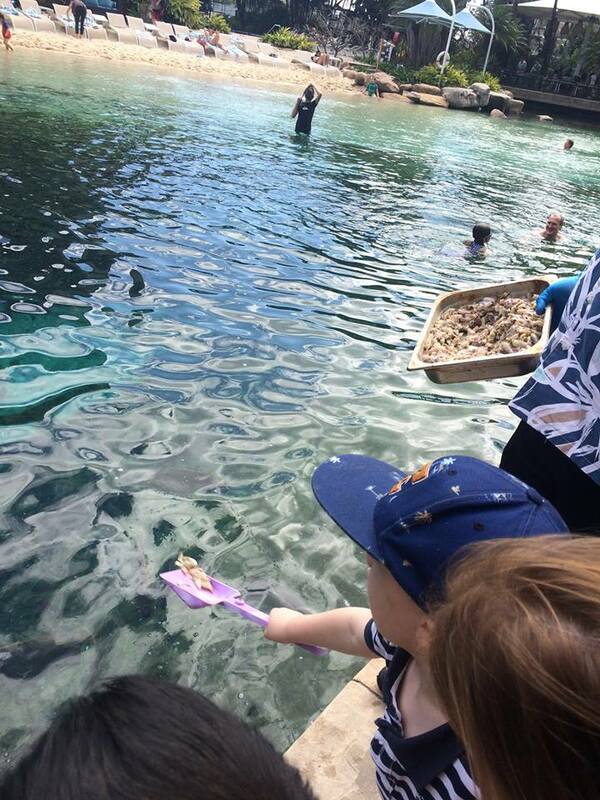 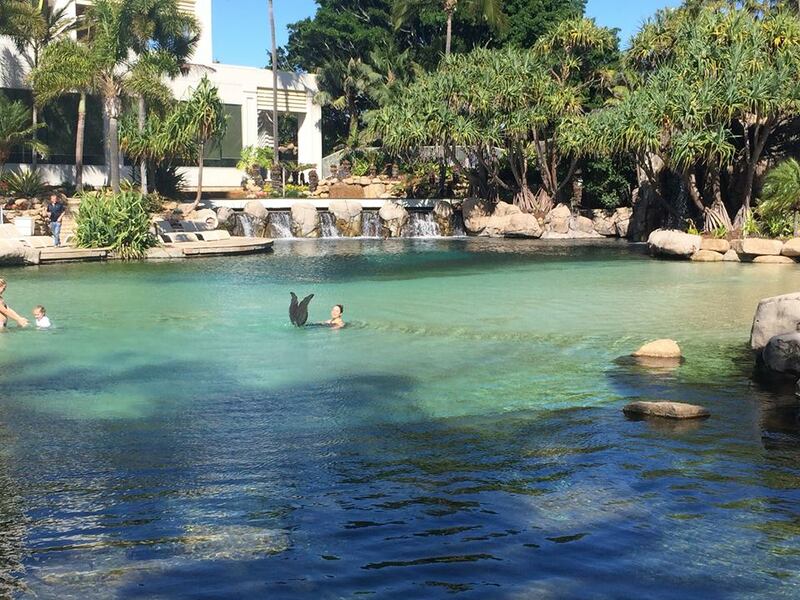 Miss 5 and Mr 3 were excited to feed the fish in the lagoon (every morning at the Marriott resort at 9.30am). 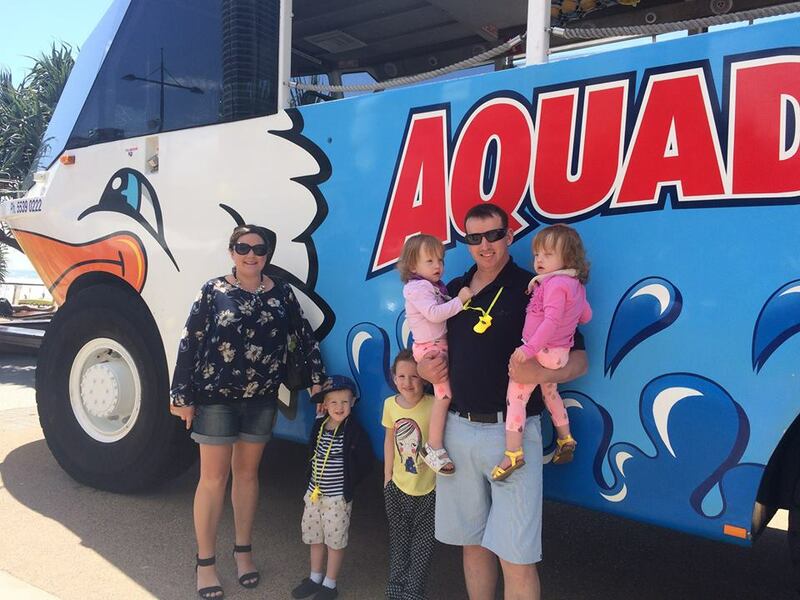 The famous Aquaduck picked us up at the resort and we enjoyed a short drive to the boat ramp where we enjoyed a smooth transition from road to water! 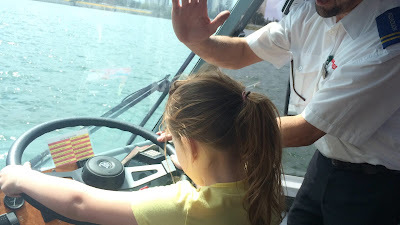 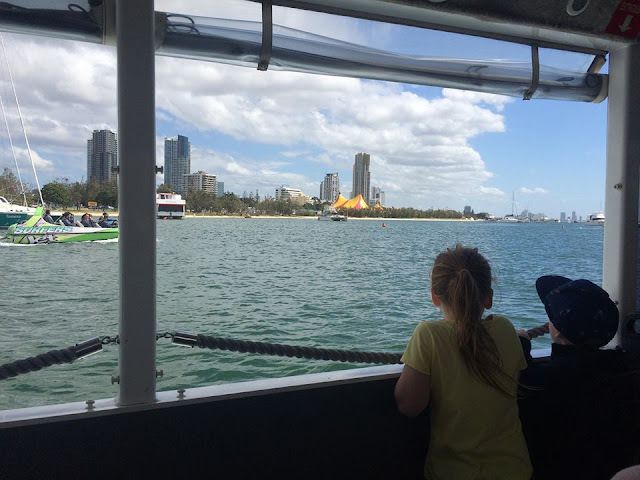 After a sail around to check out the scenery looking over to Marina Mirage to the east and Australia Fair and Southport Broadwater Parklands to the west, we had a peek at the multi-million-dollar waterfront homes. 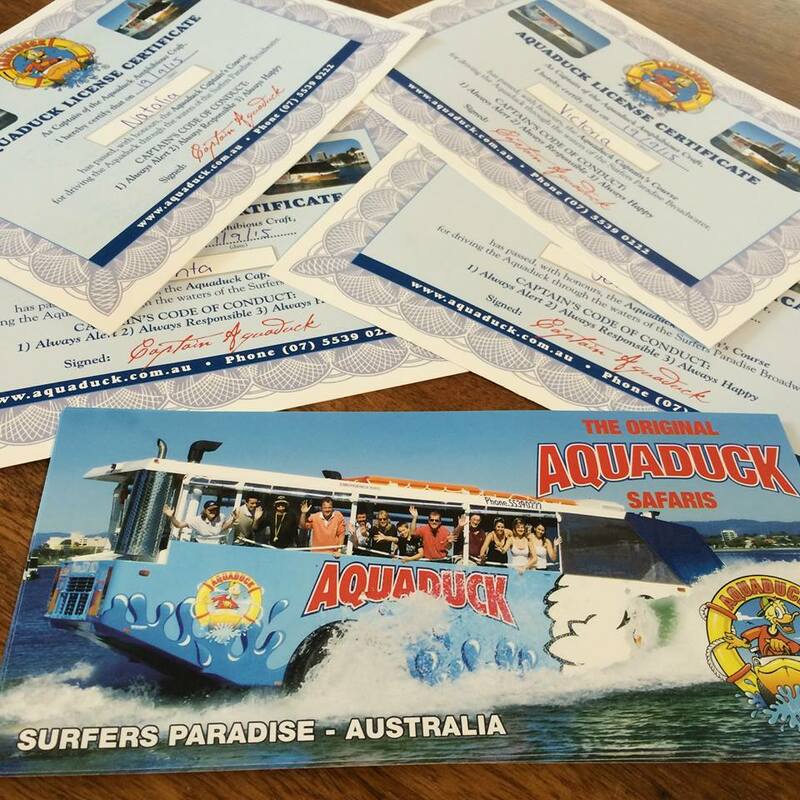 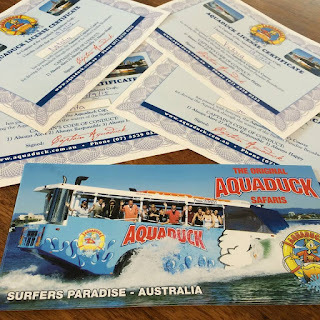 The kids received certificates/ 'Aquaduck licenses'. 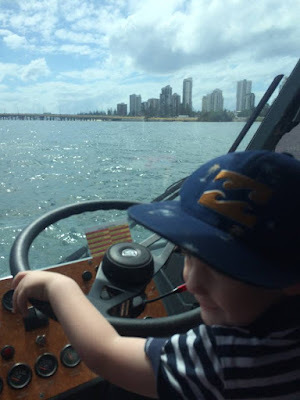 After an enjoyable cruise around the waterway/Nerang River, the Aquaduck made a smooth transition back onto dry land and we were transported, through Surfers Paradise, to the beachfront where we disembarked to enjoy the festivities happening on the beachfront. 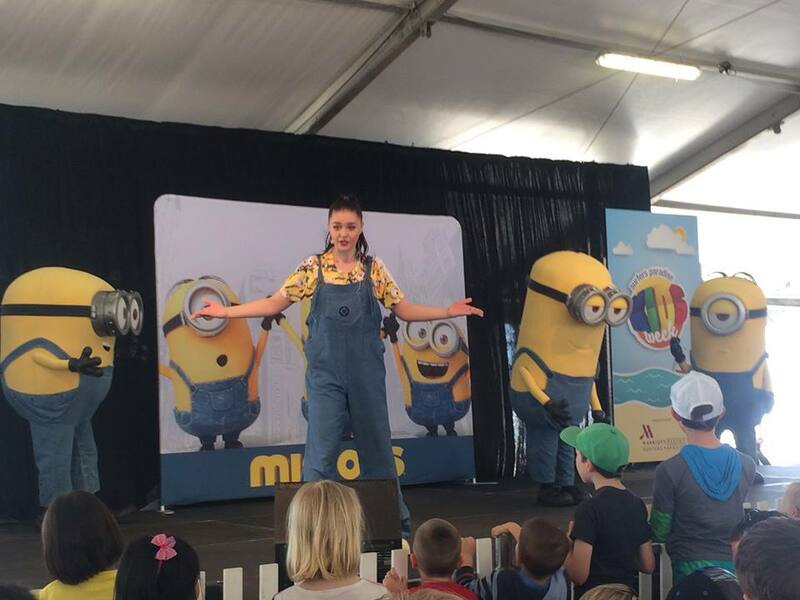 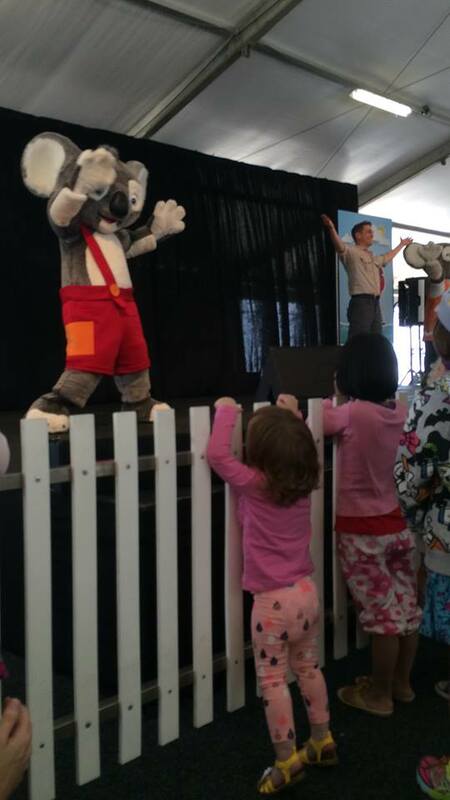 We enjoyed the Minions Show (on at 11am and 1pm daily), followed by a show featuring reptiles from Currumbin Wildlife Sanctuary. 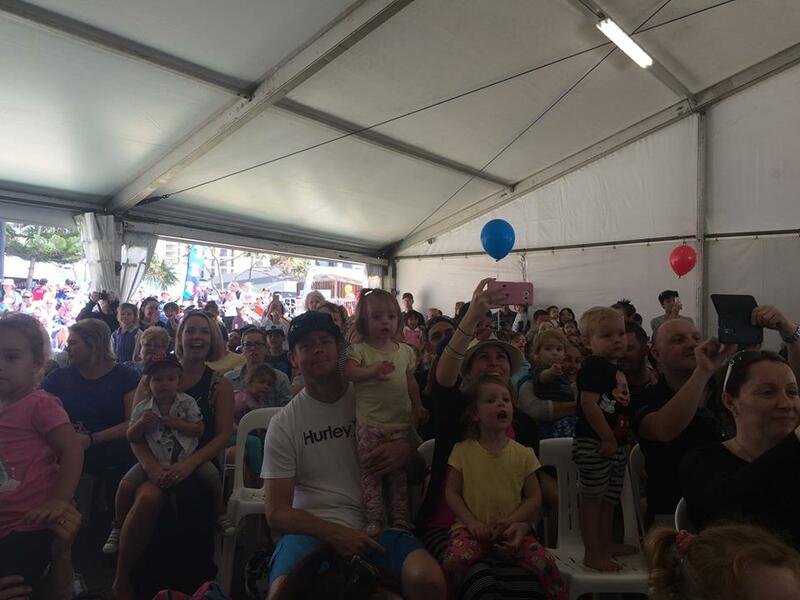 The marquee was packed, and it was a lovely vibe with families out enjoying free attractions and everything this amazing city has to offer. 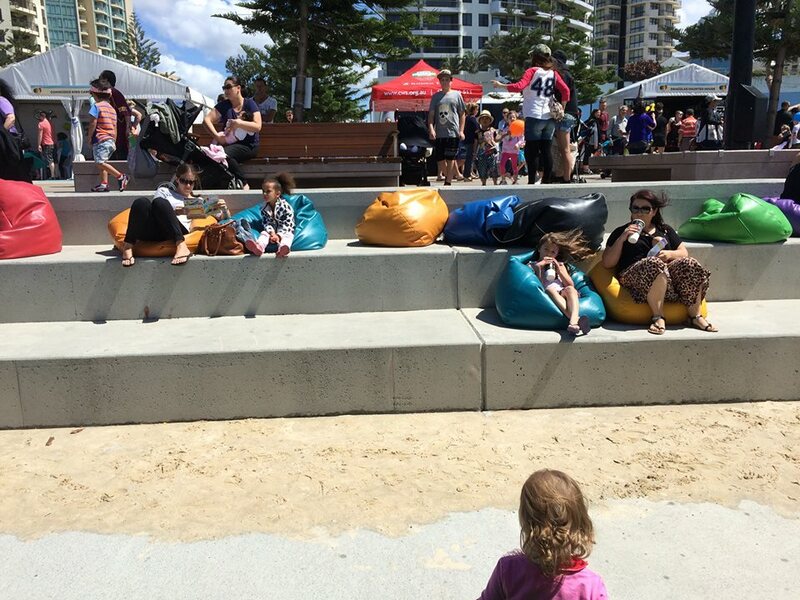 There were colourful bean bags scattered around for people to rest (boy, did our little ones need it after an action-packed morning). 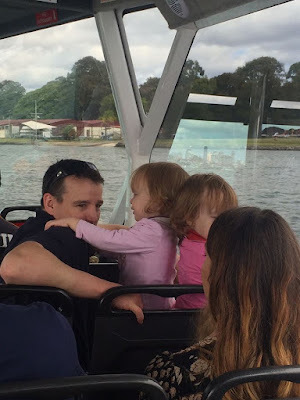 We had lunch in Cavill Ave and then took a stroll back to the Bruce Bishop Car Park to return to our car and head home for afternoon naps as the kids were all completely worn out. We'll be heading back in to explore the other attractions and events in the coming days as there's so much to see and do. 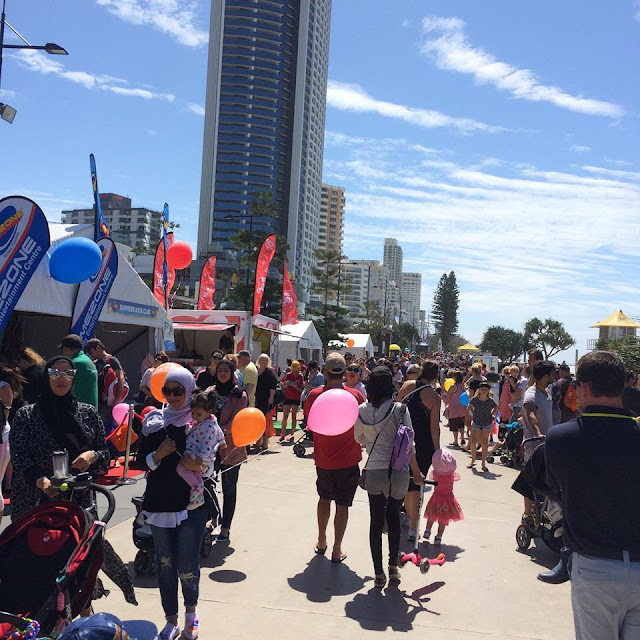 Surfers Paradise experiences more than 52,000 visitors (tourists and locals) on average per day and if today's enthusiasm and attendance was anything to go by, I think this year could set a new record for this fabulous Gold Coast event. 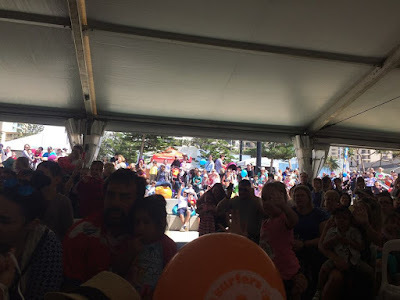 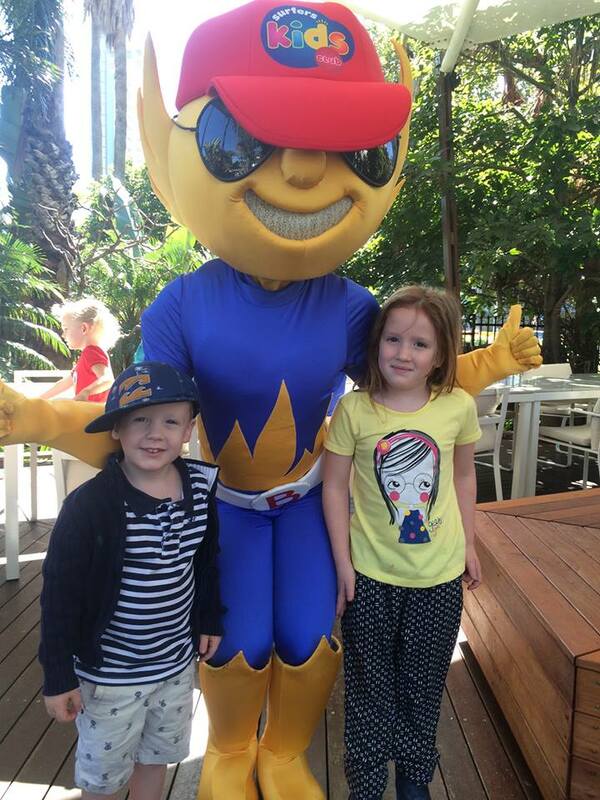 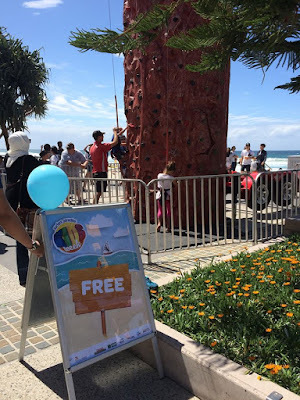 Big thanks to the Surfers Paradise Alliance and sponsor Marriott Resort Surfers Paradise for putting on such a fantastic event - proving that Surfers Paradise is the place to be for family fun! 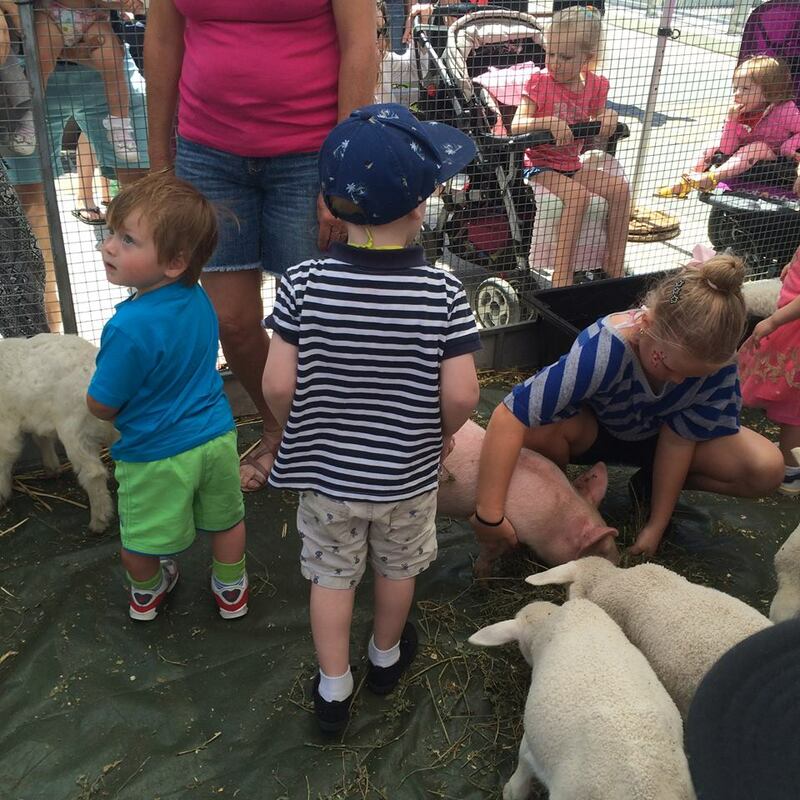 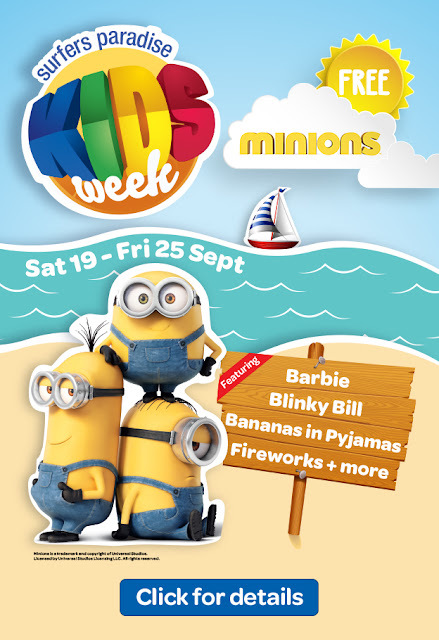 Have you been to Kids Week? 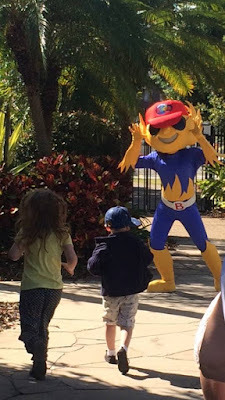 What was your (or your kids') highlights?